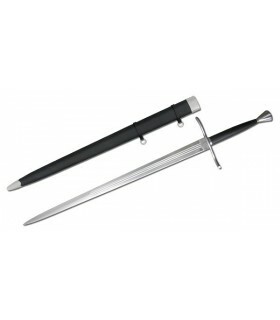 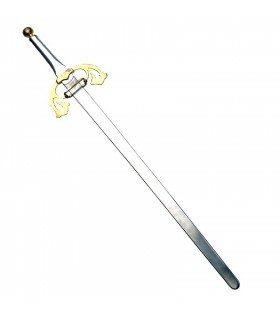 Sword by Armourclass Battle-Ready hand and a half. 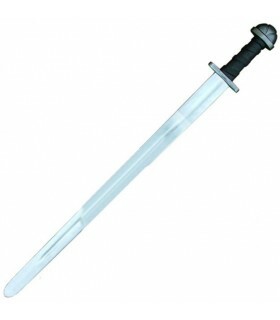 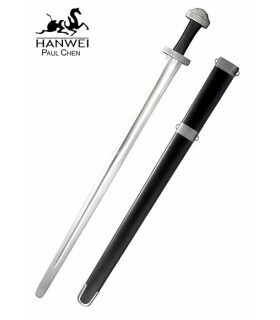 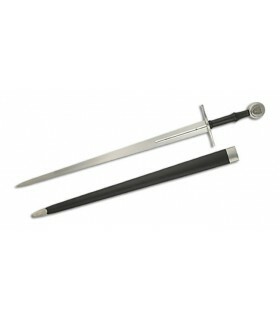 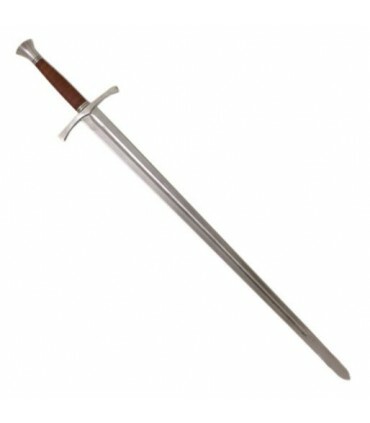 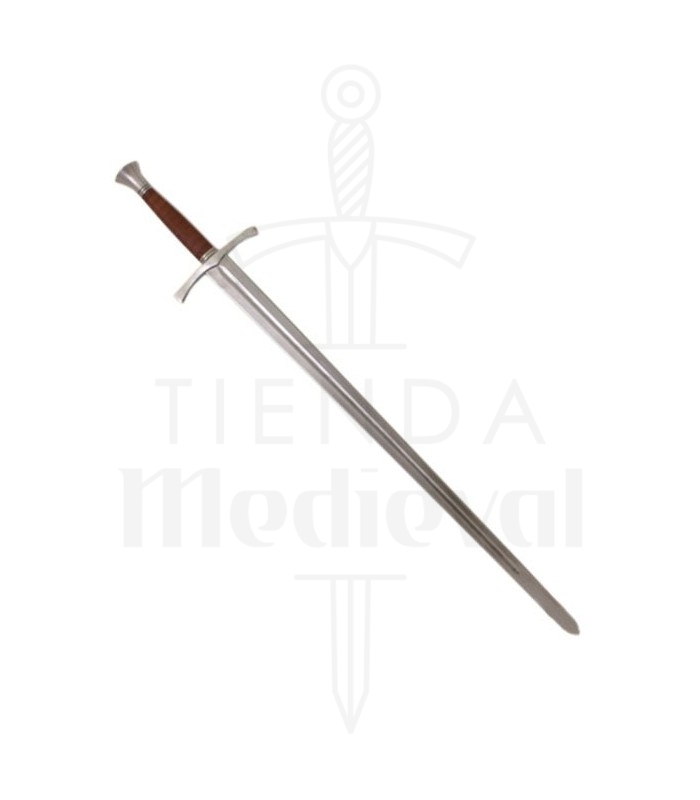 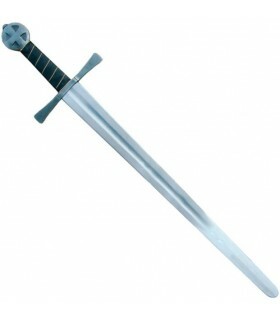 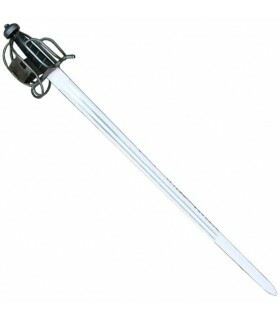 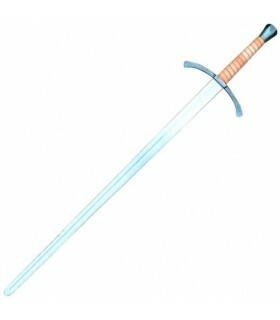 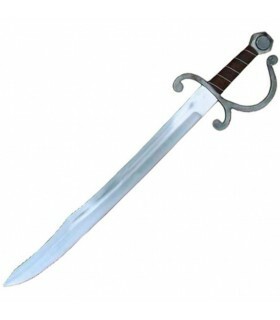 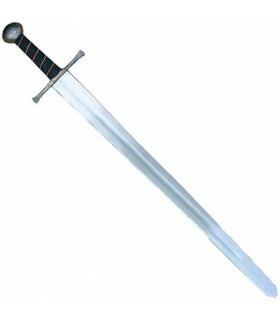 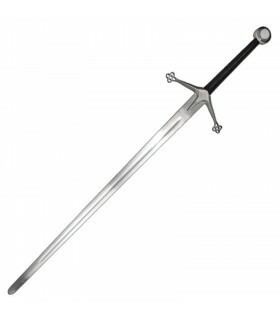 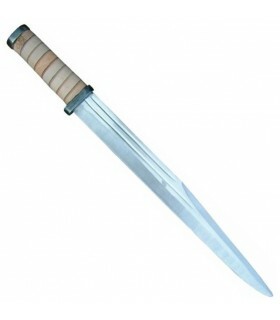 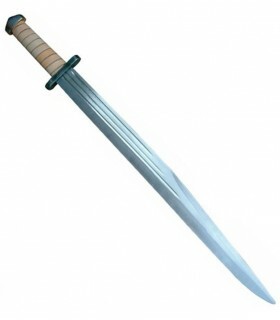 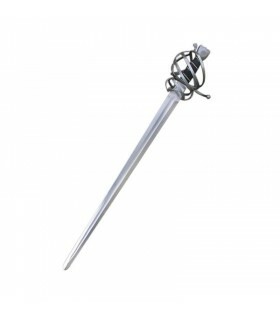 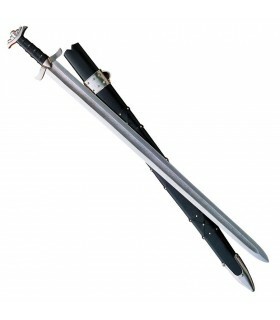 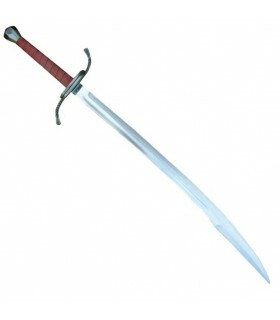 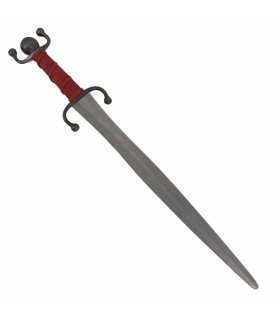 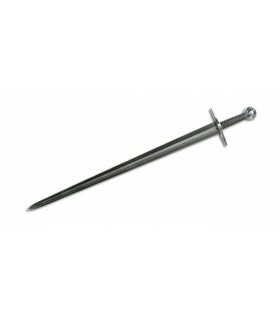 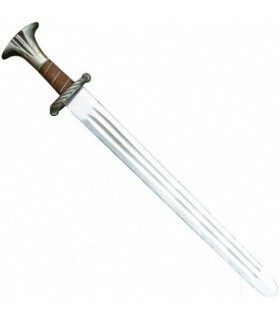 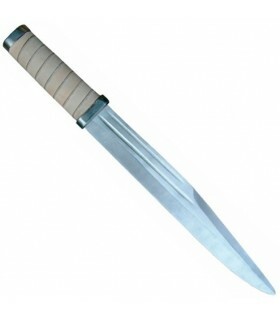 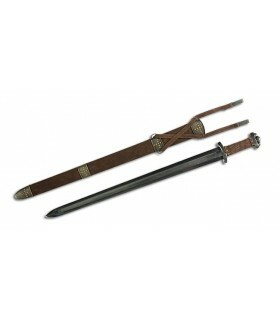 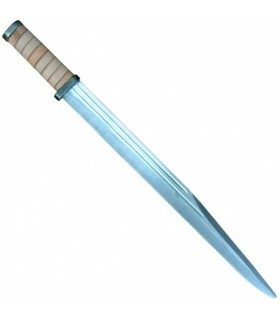 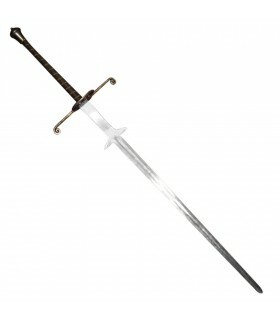 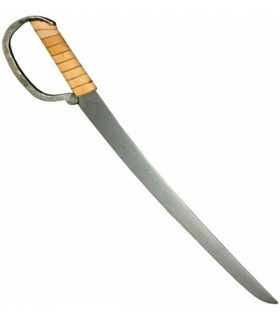 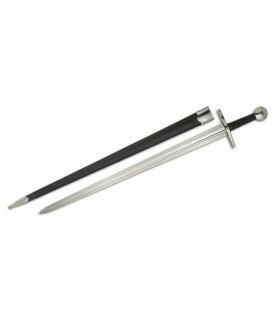 The blade is forged to the pommel and riveted to the end of the handle. 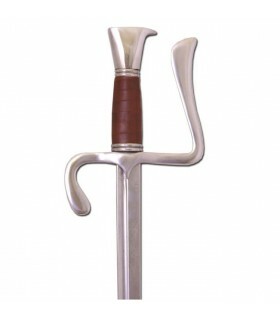 The handle is made of wood and coated with high quality leather. 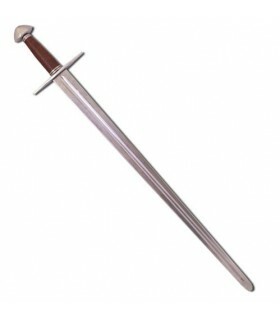 Width at Guard 4.8 cms.